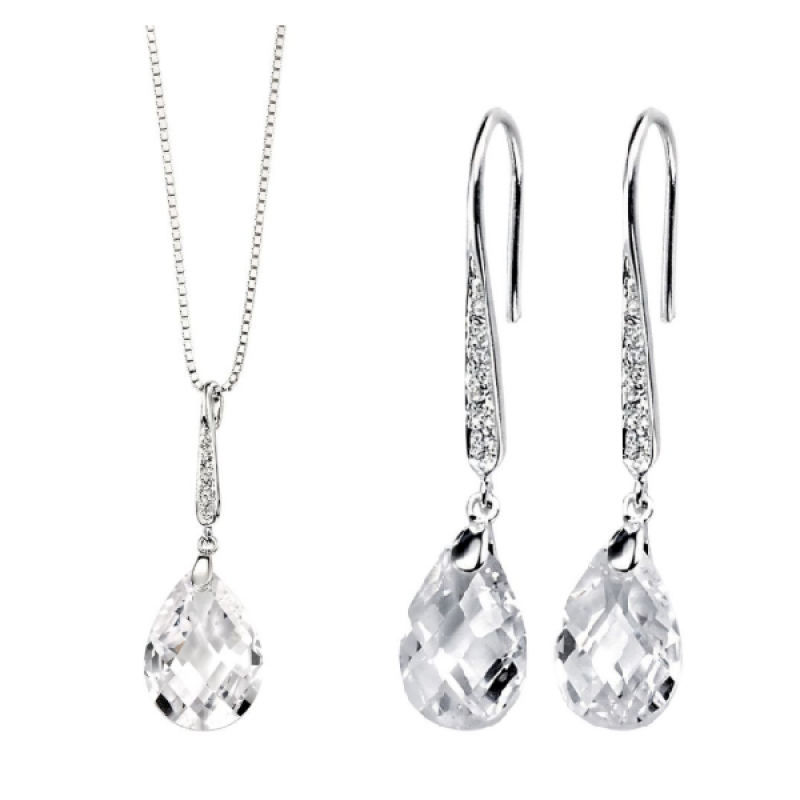 These stunning teardrop earrings features a large clear CZ, and pave set hook on each earring. Stunning teardrop pendant features a large clear cz, and pave set bale, perfect set for adding that extra touch of elegance to any outfit. Made in sterling silver 925 and featuring a polished finish, this set completes elegant look.